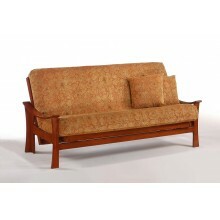 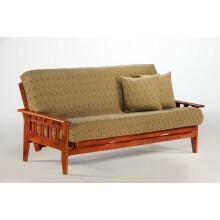 The Futon Place Complete Futon Package comes complete with both the futon frame and upgraded futon mattress. 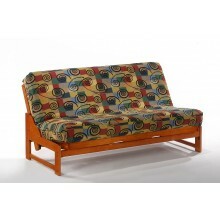 Compare other sites to us and you'll see that we price our Complete Futon Package with an upgraded futon mattress that most other stores would charge anywhere from $50-$150 for the same mattress. 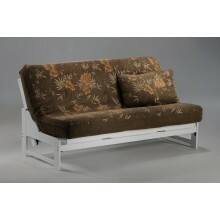 Don't be fooled into buying a futon with a flimsy 3" thick mattress when you can get ours with 7" mattress for less. 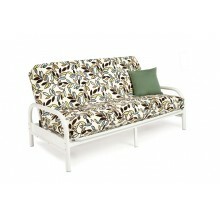 Covers and pillows sold separately. 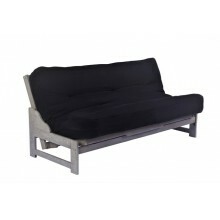 Features: Black Metal Futon Frame 38" Arms All Metal Frame with Mesh Decks Easy Assembly with Clear Assembly Instructions Easy.. 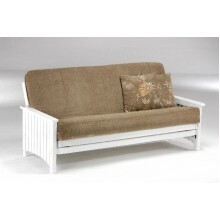 Features: White Metal Futon Frame 38" Arms All Metal Frame with Mesh Decks Easy Assembly with Clear Assembly Instructions Easy.. 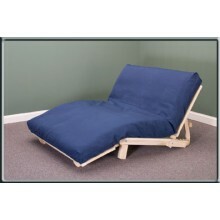 The KD Lounger is available in Twin, Full or Queen Sizes. 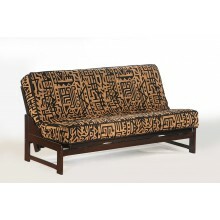 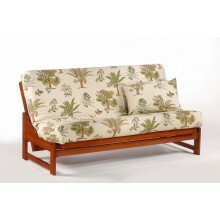 The price includes the cypress futon mattress.This lounger does it all with 13 uni.. The KD Studio is available in both full and queen sizes. 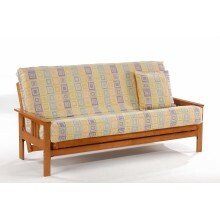 Made from smooth clean POPLAR hardwood which can be easily painted, stai.. 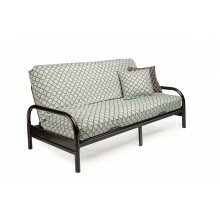 The KD Studio is available in both full and queen sizes. 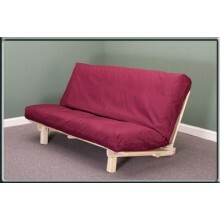 Made from smooth clean POPLAR hardwood which can be easily painted, stained or left.. 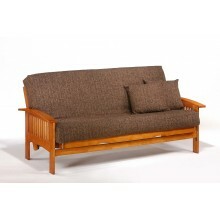 The Eureka Futon Frame is manufactured using solid hardwoods utilizing a premium multi-step stain and lacquer process to create a superior f.. 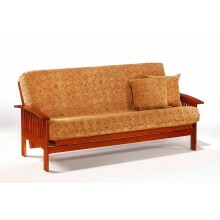 The Monterey Futon Frame is manufactured using solid hardwoods utilizing a premium multi-step stain and lacquer process to create a superior.. 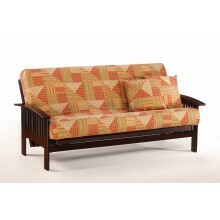 The Fuji Futon Frame is manufactured using solid hardwoods utilizing a premium multi-step stain and lacquer process to create a superior fin.. 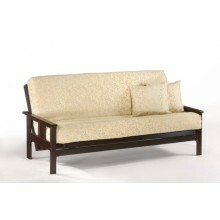 The Kingston Futon Frame is manufactured using solid hardwoods utilizing a premium multi-step stain and lacquer process to create a superior.. 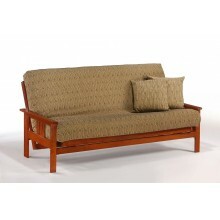 The Ruskin Futon Frame is manufactured using solid hardwoods utilizing a premium multi-step stain and lacquer process to create a superior f.. 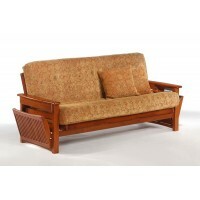 The Key West Futon Frame is manufactured using solid hardwoods utilizing a premium multi-step stain and lacquer process to create a superior..